Pre-Arbitration Chargebacks: Is It Ever a Good Idea to Challenge Them? Pre-Arbitration Chargebacks: Do They Benefit Merchants at All? What is pre-arbitration? Well, that’s a complicated question. The first thing to take note of is that, although people often use arbitration chargeback, pre-arbitration, and pre-arbitration chargeback interchangeably, they’re not the same thing. “Pre-arbitration” normally refers to the act of fighting the ruling on a chargeback representment. This is also commonly known as a second chargeback, and it immediately precedes the card network's direct intervention. It can happen when a merchant wins the first chargeback, but the cardholder or issuer disputes the transaction a second time using new or updated information. The term can mean many different things, even within the payments industry. When someone mentions a pre-arbitration chargeback, though, they're almost always talking about a second chargeback. The problem is that the label "pre-arbitration chargeback" isn't officially used by major card schemes. Neither is the term "second chargeback." 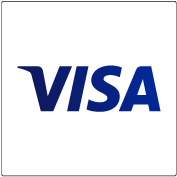 In fact, Visa doesn't even use the designation "chargeback" at all. So trying to find a definition for "pre-arbitration chargeback" in any official Visa or Mastercard documentation can be frustrating. Through this post, we'll attempt to clear up what pre-arbitration chargebacks (often simply called "pre-arbs") are, why and when they are used, and how they're officially labeled by the card networks. Before we try to understand pre-arbitration, let's take a look at arbitration itself. The chargeback process starts when the cardholder (or occasionally the issuing bank) claims a credit card transaction is invalid. Like any legal contest, arbitration is a way to try and reach a settlement. If a dispute can't be resolved through the traditional chargeback process, any of the parties can ask the card network to review the facts and issue a verdict. Arbitration should only be a last resort for transaction disputes. When credit card representatives are called to settle a dispute, they prioritize whatever's best for the card scheme. Normally, that means keeping the customer happy and making the problem go away as quickly as possible. Merchants stand to gain more (or lose less) by working with the other parties to resolve issues without the network's input. The process is generally the same across card schemes; the main difference is in terminology. The easiest way to illustrate this is by examining how the networks officially describe their chargeback process, starting with Mastercard. While merchants and even banks occasionally use the phrase, Mastercard's official dispute process does not include a pre-arbitration chargeback…at least by that name. As you can see, what they're calling an arbitration chargeback is what most consider a pre-arbitration chargeback. 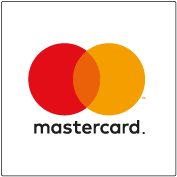 When you're talking about Mastercard, the two terms are more or less interchangeable. As we mentioned, Visa no longer uses the actual term "chargeback," instead calling customer cases "disputes." They do label a certain phase of the process "pre-arbitration," but because different types of Visa disputes are resolved by separate methods, the phrase is used in two different ways. Since implementing the new Visa Claim Resolution (VCR) regulations, all chargebacks/disputes are divided into one of two work flows: an “Allocation” track for fraud and authorization issues, and a “Collaboration” track for consumer and processing errors. We'll look at the two individually. Still confused by VCR? We can help. In cases that involve either fraud or authorization issues, responsibility is assigned automatically, based on established rules: Visa assesses the complaint data, decides whether it constitutes a valid chargeback, and makes the call. Done. If Visa rules in favor of the cardholder, acquirers and merchants have a limited ability to challenge. Certain conditions apply, and Visa only allows a 30-day timeframe (individual acquirers normally set even tighter deadlines). Complaint/Complaint Validation: Customer has an inquiry, which Visa automatically judges based on existing rules. Invalid claims are blocked. Pre-arbitration Response/Pre-arbitration Chargeback: If the issuer rejects the merchant’s second presentment, it becomes a second chargeback (or pre-arbitration chargeback) and the card network is asked to make a ruling. As the name suggests, the Collaborative track is designed to encourage all the involved parties to work together to resolve the claim without Visa's direct involvement. Again, note that in both Visa work flows, there is an opportunity for a traditional pre-arbitration chargeback; Visa just has different names for it. Can Merchants Win Pre-Arbitration Chargebacks? Winning a chargeback case is never guaranteed to be the end of the line. In almost every instance, a chargeback dispute case won through representment can become a pre-arbitration chargeback. It might seem good to have that option, but in reality, merchants almost never win a second dispute decided through arbitration. For starters, the card networks usually default to the most expedient solution (as we noted above). But another reason is that issuers typically file a pre-arb because they have new information to support their case. Merchants, on the other hand, typically have no new evidence: they likely used everything they had overturning the original chargeback. It's also not financially advantageous to take cases through arbitration. There are additional fees—some quite high—plus considerable outlay in terms of time and other resources. Winning a pre-arbitration dispute isn't impossible, but unless the transaction amount is very high, it may not be worth it. Arbitration is expensive and time consuming, and the odds of winning a second/pre-arbitration chargeback are slim. The entire process is complex, with multiple parties involved and regulations that constantly evolving. Fighting for yourself amid all of this can be daunting, at best. It's better to proactively stop pre-arbitration chargebacks by definitively winning chargeback disputes during the initial representment. 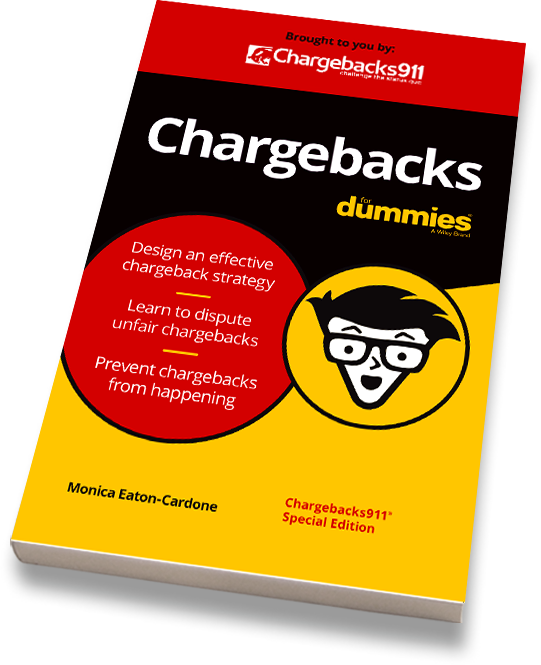 But the best option for merchants is always going to be a strategic plan to prevent chargebacks altogether. In addition to helping win chargeback representments, Chargebacks911® has an experience-backed reputation for creating customized chargeback management solutions. We guide merchants through all phases of the chargeback process so they can focus on the business growth and sustainability. Want to learn more about ensuring ROI through representment? Have other questions about avoiding your next pre-arbitration chargeback? Click below to speak with one of our chargeback experts.